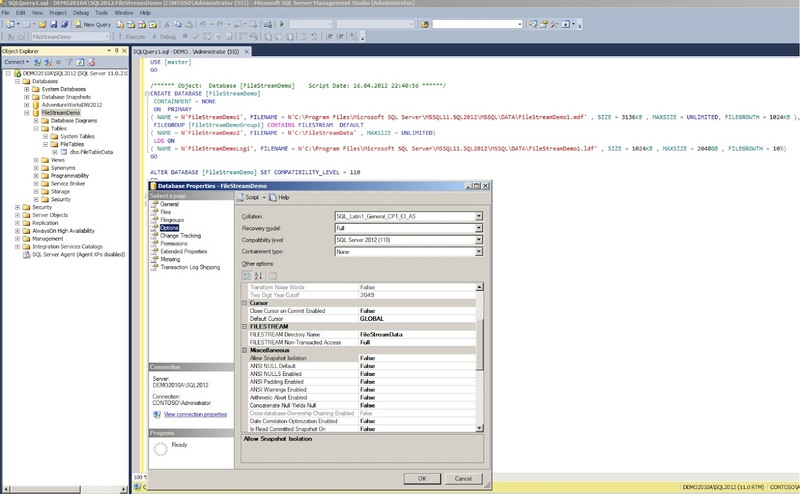 I wrote about the new SQL Server 2012 Filetable feature based on Filestream, which was already been coming with the last version SQL Server 2008, before (see here: LINK ). Now let’s see Filetable together with SharePoint in action. 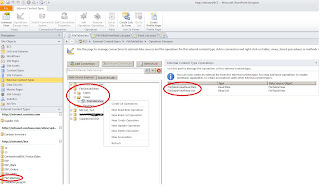 First we have to activate Filetable which is not been active per default after installing SQL Server 2012. How to activate this can be found here: LINK . - There is a database named “FileStreamDemo”. 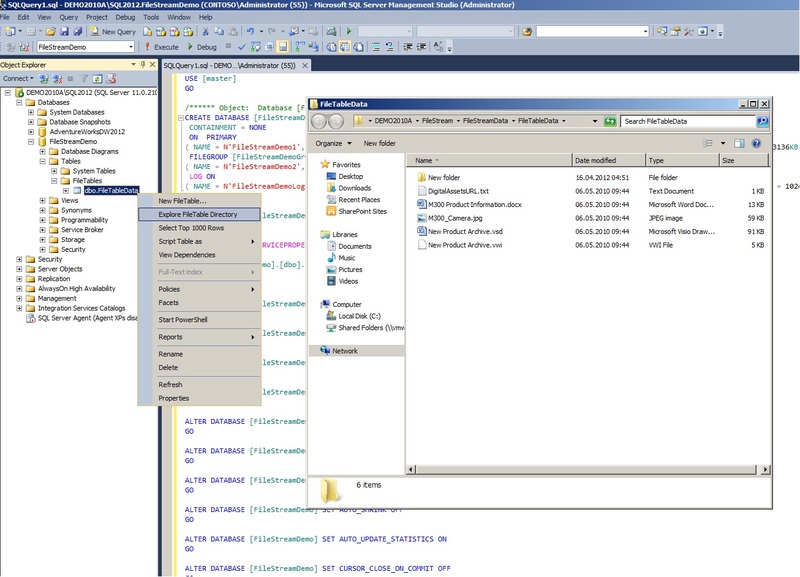 - NON_TRANSACTED_ACCESS = FULL, that allowed us interact with the data in the filetable directory bypassing the SQL Server API and use the windows explorer direct. 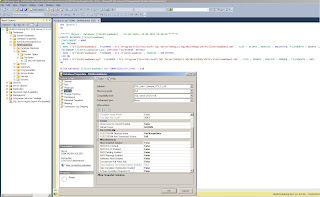 - The script in the background shows the create script for the database. 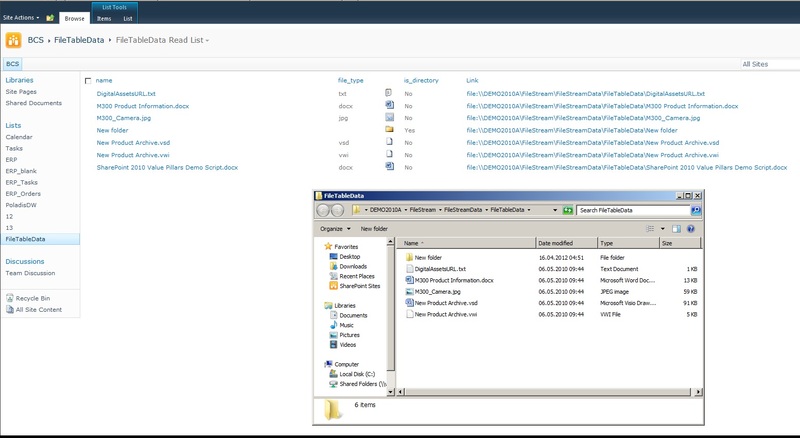 We can see that the database files *.mdf and *.ldf are placed in a different directory than the Filestream data. So we see that the content from FileStream directory is returned as BLOB data placed in the column “file_stream” as varbinary(max). By the way: the data placed in here is automatic part of the backup and restored process. 1. We are not able to bring the content directly to the user without writing code that extracts / transforms the BLOB data. 2. 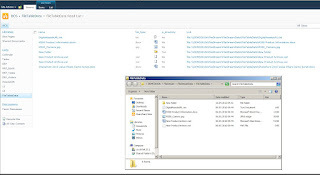 Using SharePoint to unwrap the BLOB data generates load on our SharePoint. 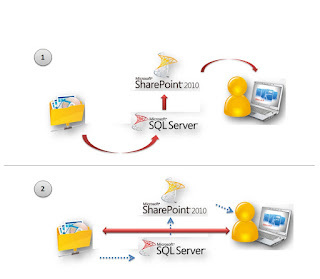 The data must be load from SQL Server / Filesystem to SharePoint and from the SharePoint Server to the Client. Let’s point to the data in the file-system using the given information. That means only the metinformation where the file is placed is transferred and the client picks up the data directly from where it is stored. 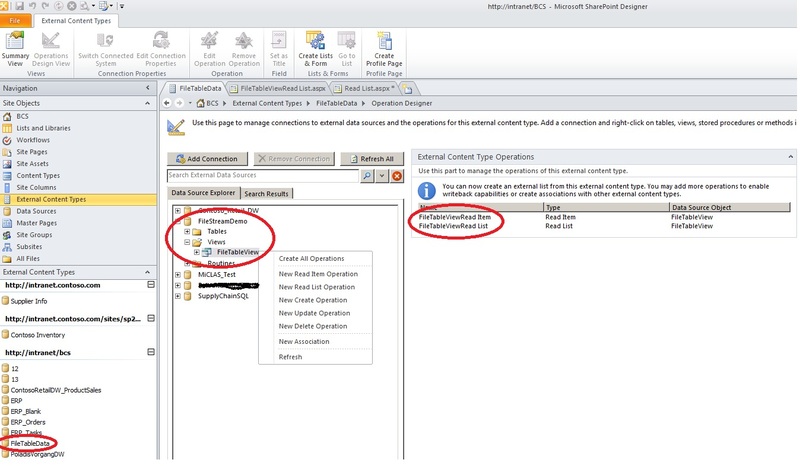 - In scenario 1 the BLOB data is transferred via SharePoint. - Scenario 2 shows the way only the metinformation (blue arrows) is transferred via SharePoint and the user access the content directly. This query is now used to create a view called “FileTableView”. 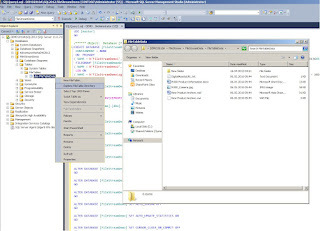 Next step is now connection this view via BCS to SharePoint. I do this using SharePoint Designer to create a new External Content Type. How to create External Content Types and handling BCS is not part of this post. If you need help within this just contact me or have a look here: LINK . As you can see I created an External Content Source called “FileTableData” which is based on the view “FileTableView”. For this use case I only need a ReadList and a ReadItem operation. Clicking the “Link” given to each entry opens the document / folder. The access happens as shown in PIC 4 directly to where the content is stored. This is an interesting way bringing data into a SharePoint environment without blowing up the content databases of SharePoint. This data can also be protected with SQL Server backup and recovery tools. But of course there a several 3th Party Tools doing this ore similar thing with more features around. Anyway, for me it’s a create feature and an additional option in data management. Very cool idea, but I can see that the link would not be correct for files inside folders.